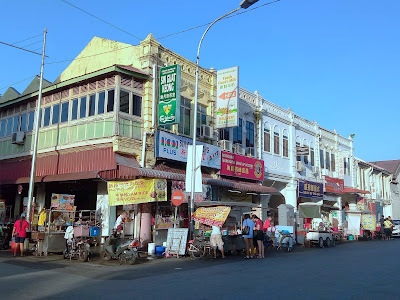 Kimberley Street Night Market is actually a congregation of six dessert shops and numerous hawker stalls along Kimberley Street (Lebuh Kimberley). 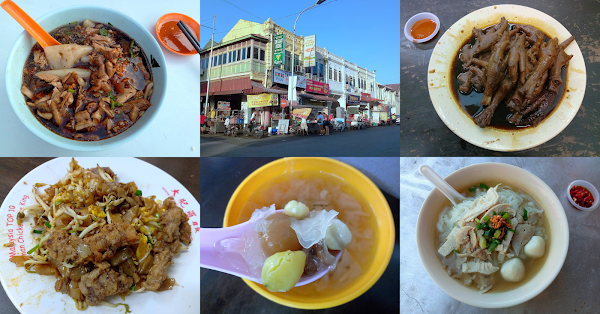 Occupying both sides of the road, the hawker center is situated between Rope Walk (Jalan Pintal Tali) and Cintra Street (Lebuh Cintra). This popular place is frequently called "Four Heavenly Kings" (四大天王) in reference to four famous hawker dishes here. Duck Porridge & Kway Chap (鸭粥粿汁) is arguably the most popular stall among the four. It is not unusual to see a long line of people waiting in front of the stall before opening. It opens from 6:00pm to 10:00pm and is closed on Thursdays. 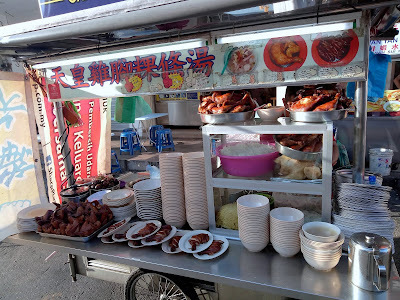 The stall is located in front of Restoran Kimberly (汕头街权记鸭粥粿汁专卖店), which I suspect belongs to the same owner. Kway Chap (粿汁, RM9.50 for regular portion) is what the hype is all about. 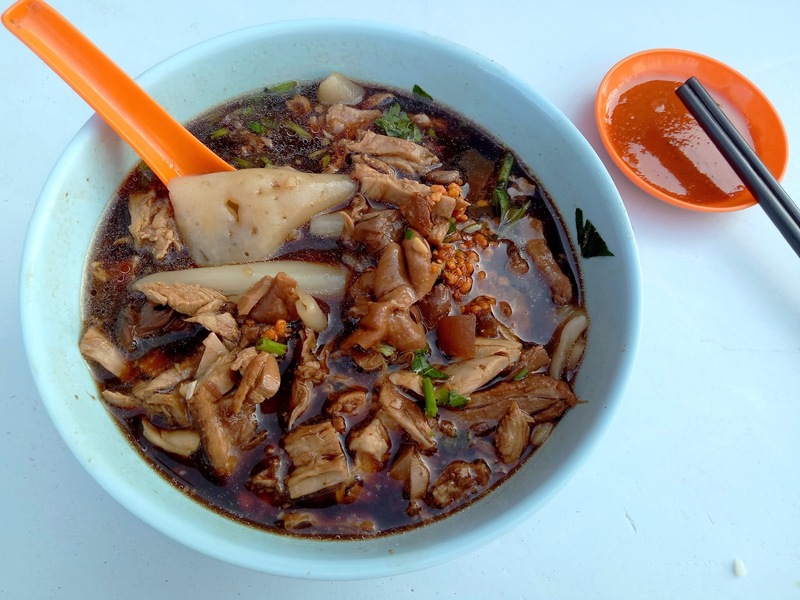 The dish's soup is stewed from duck and pork for several hours, making it extremely savory. Also important are the thin sheets of rice flour which appear like mee hoon kueh (面粉粿). The bowl of Kway Chap also comes with soy egg (卤蛋), duck meat, pork rind (skin) and pork offal (such as stomach and intestines). Across the street and in front of Gan En Wu Tang Shui (感恩屋糖水) is another "king", Sky Emperor Chicken Feet Koay Teow Soup (天皇鸡脚粿条汤). The stall is notable for combining koay teow soup (粿条汤) with braised chicken feet (卤鸡脚). It operates from 6:30pm to 12:00am every day. The bowl of Chicken Meat Koay Teow Soup (鸡肉粿条汤, RM4.50 for small portion) contains chicken slices, pork liver and fish balls. The noodle is flavored by a clear soup that is prepared from pork bones. On its own, this noodle dish is rather unimpressive. However, I recommend that you order some Chicken Feet (卤鸡脚, RM10.00 for large portion) to complement the clear soup. 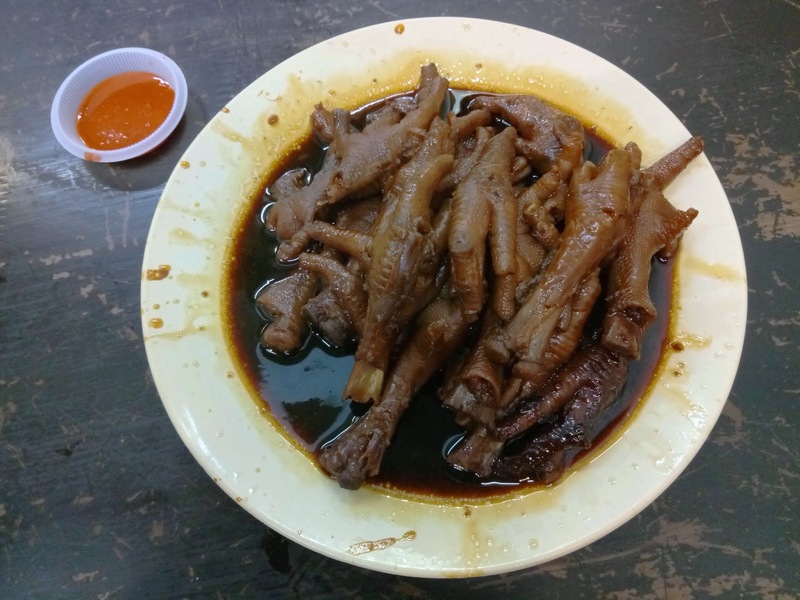 Stewed in sweet dark sauce, the chicken feet are truly succulent. 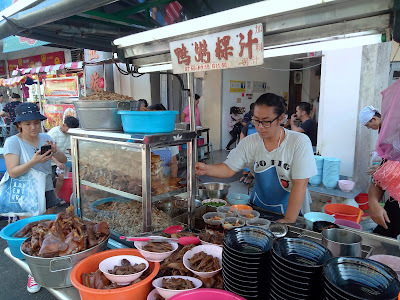 Other savory items from this stall are braised chicken thigh (卤鸡腿), chicken wings and soy eggs. Moving on, Char Koay Teow & Mee (炒粿条炒面) is a stall is directly in front of Sin Guat Keong (新月宫茶室). 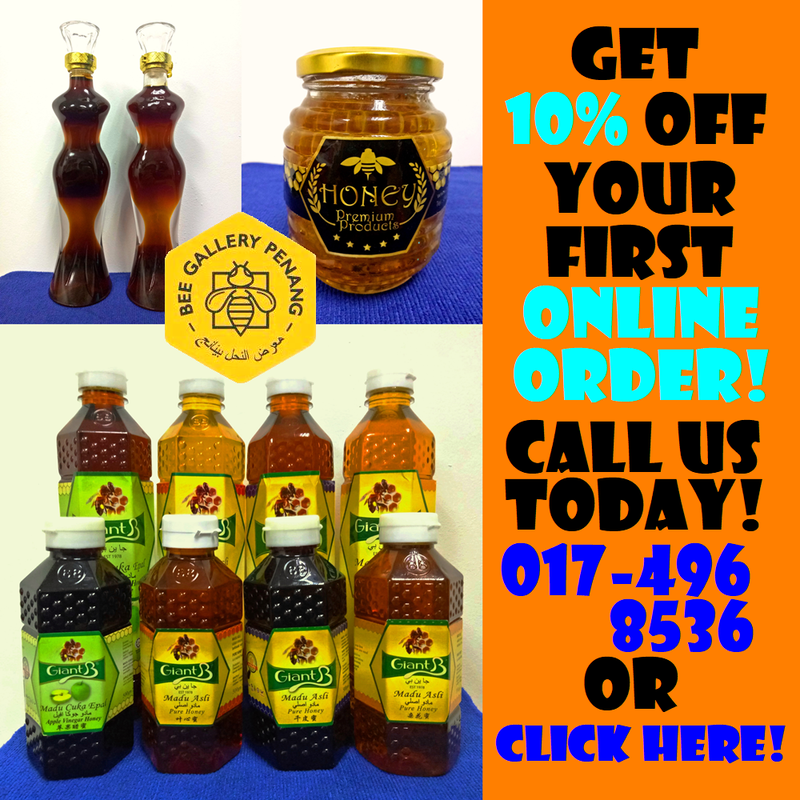 It opens from 5:00pm to 11:00pm daily. 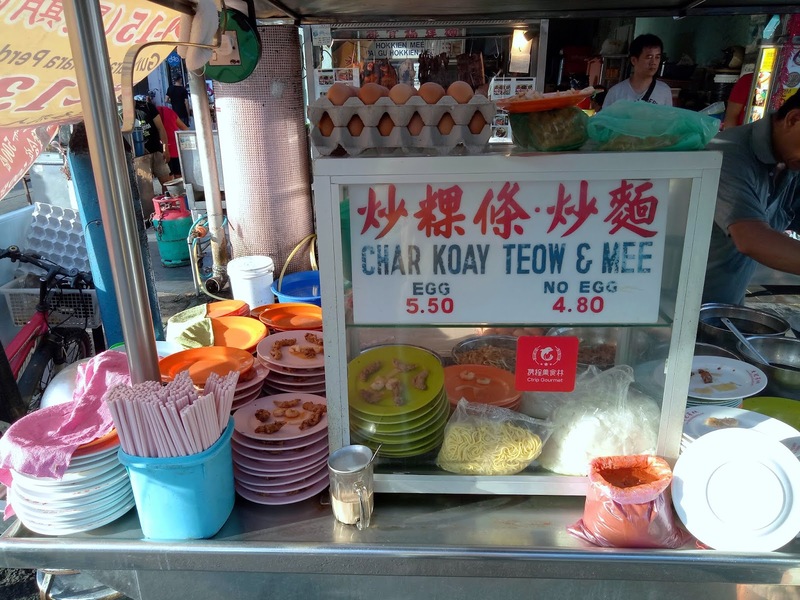 This stall should not be confused with another char koay teow stall inside the kopitiam itself. 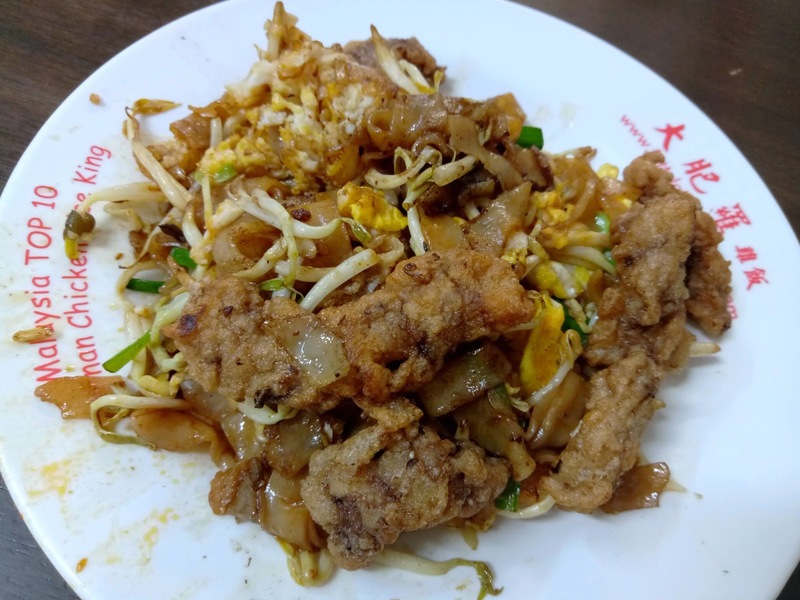 The plate of Char Koay Teow (炒粿条炒面, RM9.00) is stir-fried with eggs, bean sprouts, garlic chives (韭菜), garlic, soy sauce and chili paste. It also contains several mantis shrimps. The shrimps have been fried upfront, so they lack the toasty aroma that I seek. 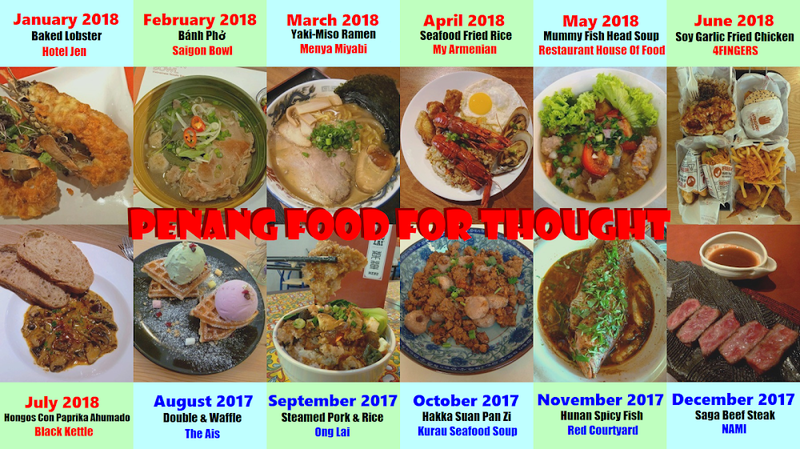 If you ask me, this dish is overrated as there are many stalls elsewhere in Penang that can cook better. 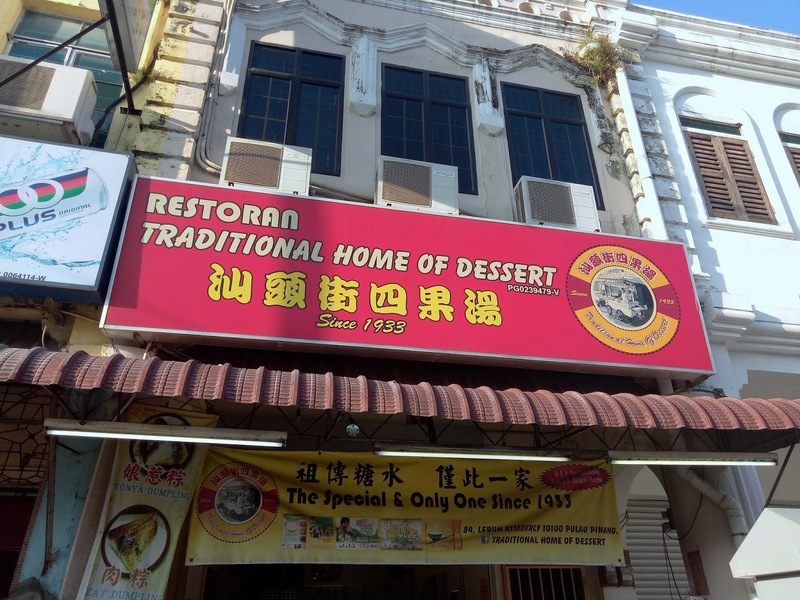 Last but not least, Traditional Home Of Desserts (汕头街四果汤) sells a variety of sweet soup desserts (糖水). As a matter of fact, all neighboring shops have similar menus but this one is arguably the most popular. This dessert shop runs from 6:30pm to 12:30am and is closed on alternate Mondays. 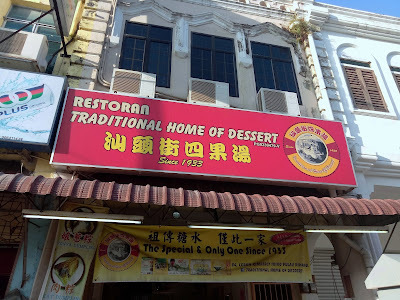 Si Koh Soup (养生四果汤, RM4.00 for small portion) is a traditional Hokkien (Fujian) dessert. 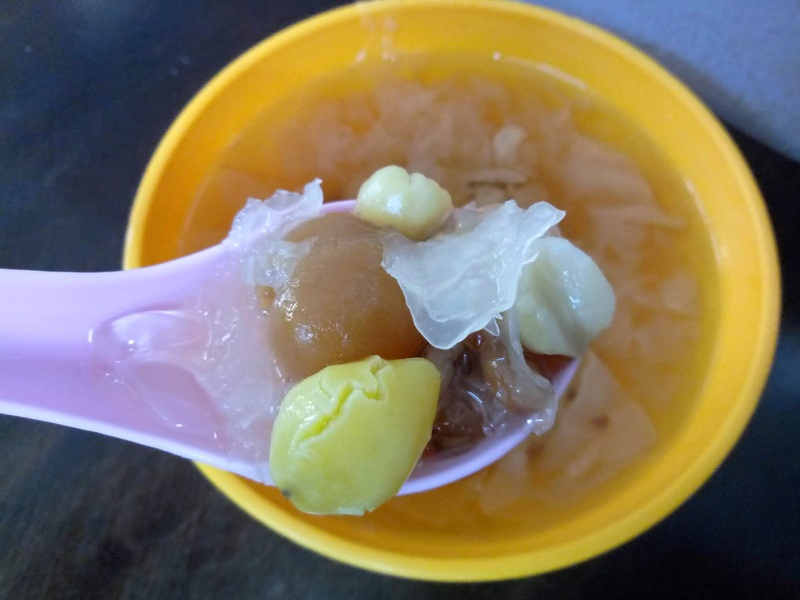 Its name refers to 4 key ingredients, namely ginkgo seeds (白果), lotus seeds (莲子), red beans (红豆) and longan (龙眼). Meanwhile, white fungus (雪耳) is optional and only costs RM1.00 more. 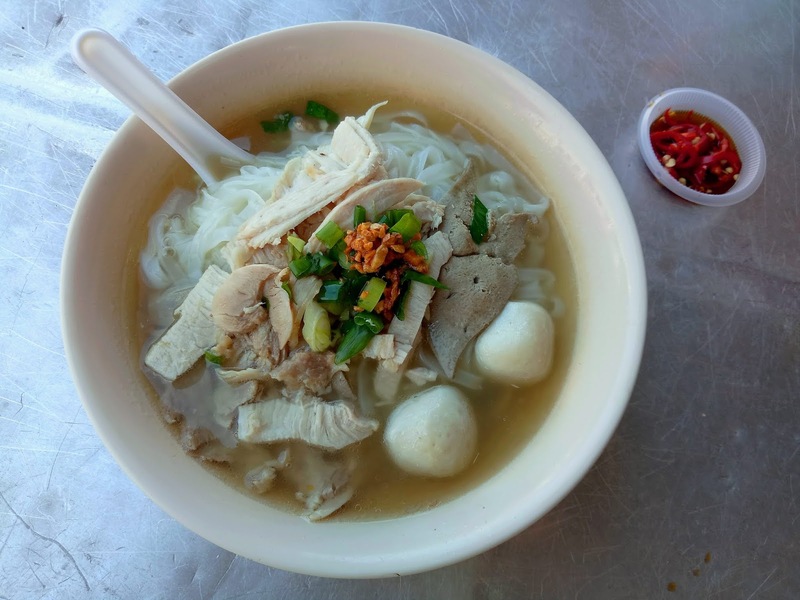 Served in sweet syrup, Si Koh Soup can be prepared warm but the cold version is more popular.